Infection Control in our Dental clinics and protecting ourselves from the infective agents which the patients might carry is the primary requirement in any successful Dental Clinic, as we encounter different kinds of patients and we cannot examine all the patients for infective diseases it is our responsibility to protect ourselves and protect our patients from contacting diseases from our clinic and controlling the spread of dangerous diseases like Hep-B, HIV. . etc. It is the responsibility of the dental team to ensure that the appropriate and correct procedures are carried out and appropriate measures are taken in relation to infection control to protect the patients, the public and themselves from contacting these dreadful diseases. 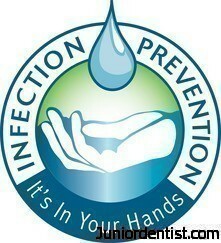 This topic of infection control cannot be covered under a single post so i will be doing many posts on this topic.